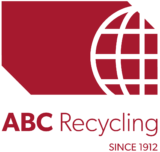 No matter what size the job, or where you are located, ABC Recycling has the resources, equipment and people to help you get the job done quickly, safely and cost-effectively. With over a century of experience, we have the policies and procedures in place to contract with public and private organizations of all sizes. We have served large industrial operations in the forestry, mining, utility, waste energy and transportation sectors. Load and off-load, or cut through metal with hydraulic shear attachment. Can be equipped with buckets and thumbs, and magnets.